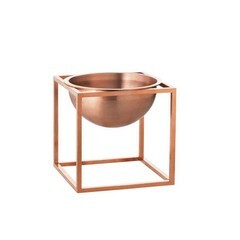 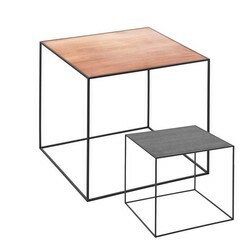 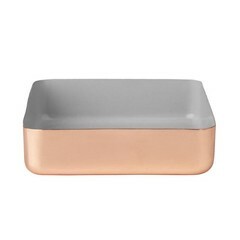 Luxury materials such as copper and brass are favorite with the Danish designer Louise Roe. 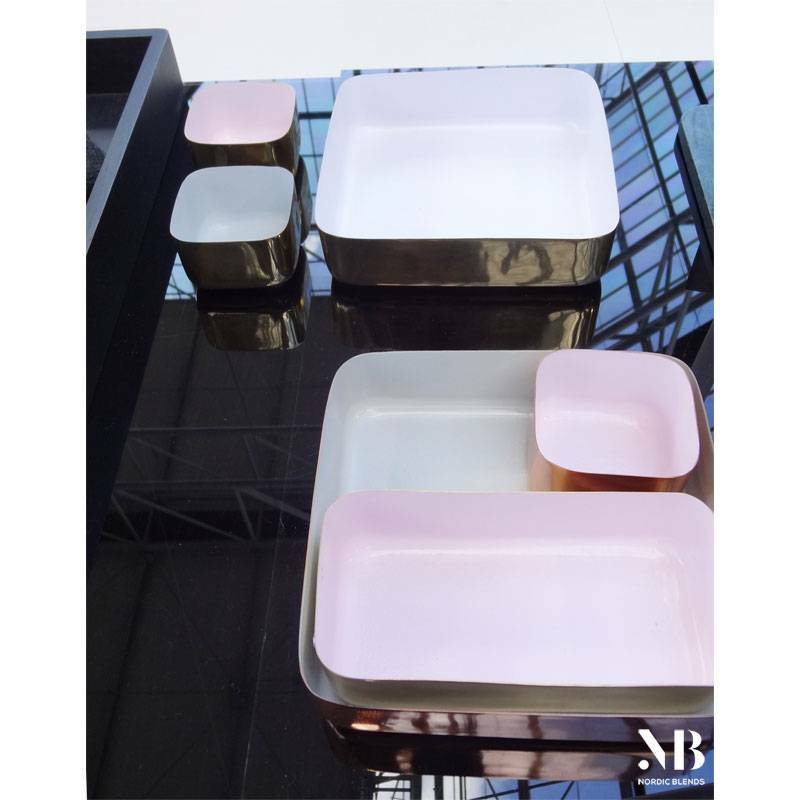 She designed the Metal Trays, a series of decorative trays for all kinds of purposes in different sizes and material and color combinations. 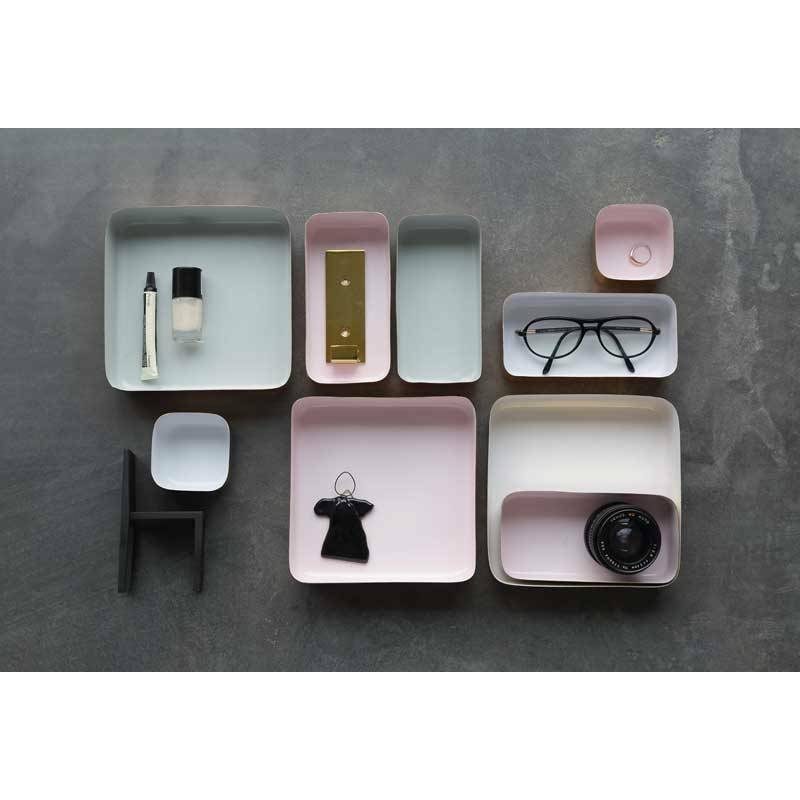 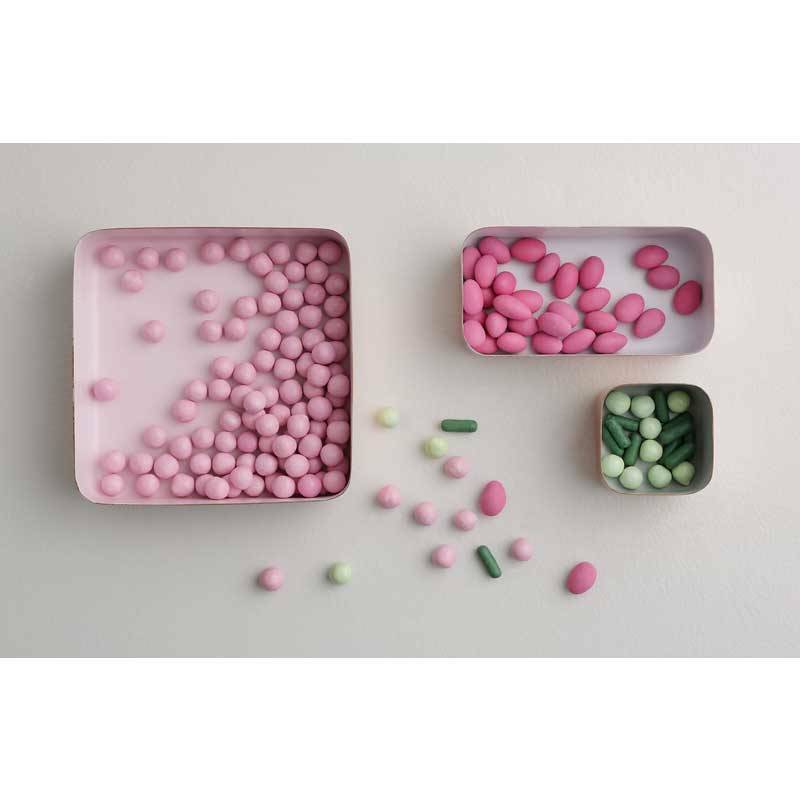 The trays are designed in such a way that they can also be placed together. 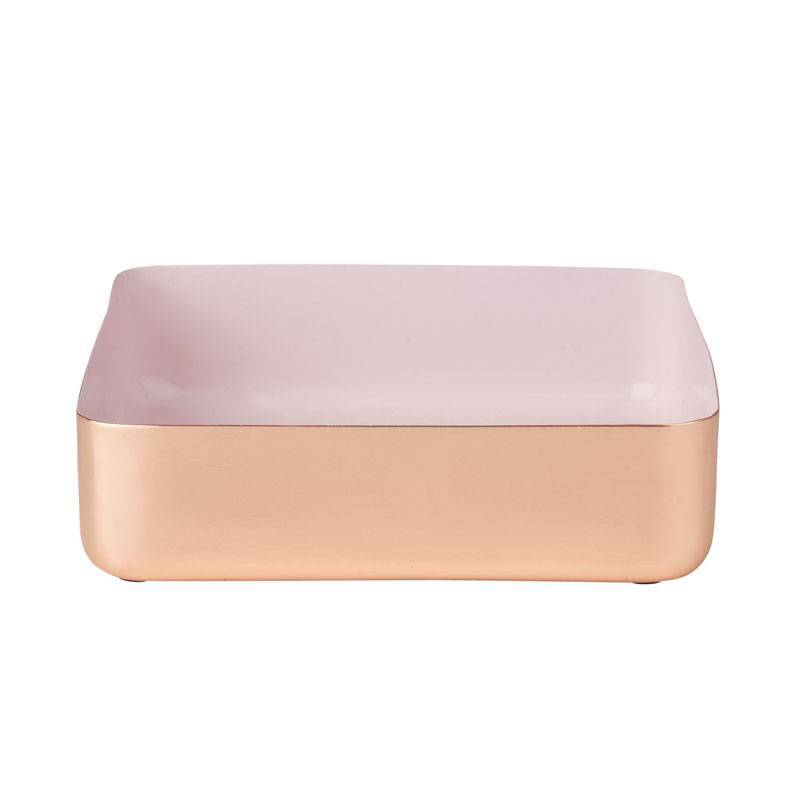 This large size (17x17 cm, 4.5 cm high) has a light pink inside. 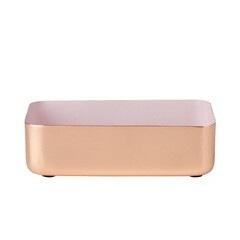 Wonderful for your keys and phone, on your bedside table, for jewelry or make-up, it's all possible.